The fragrance to live in all year long. A surprise of red tulips and rosebloom. Snow-white flowers, sparkling raspberry. 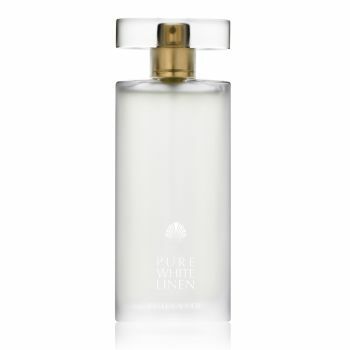 Pure White Linen steals you away to the perfect summer day. Like a stroll in a flowering garden, it lifts your mood and renews your spirit. A modern interpretation of the classic White Linen theme, Pure White Linen offers a feeling of fresh greens and just-opened florals.